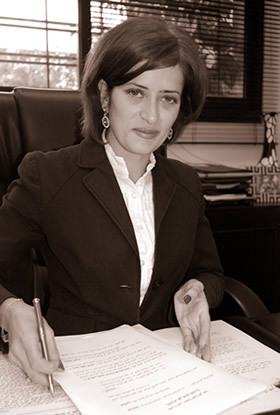 Mirna El Hajj is a member of the Beirut Bar Association since 2004 and has joined the Firm in 2009. Mirna specializes in civil, commercial, labor and criminal litigation. She also has extensive experience and knowledge of the execution of judgments & other documents procedures. Mirna graduated from the Lebanese University with a bachelor of Lebanese Law. Prior to joining the firm, Mirna worked in another Lebanese Law firm. Mirna is fluent in Arabic, French and English.